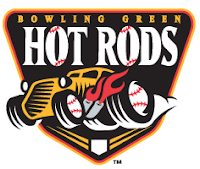 The Bowling Green Hot Rods began the second half of the season this week going 3-2 on the week. The Hot Rods are currently one game back from first place. Transactions: Woods Fines removed from roster following retirement (6/23/10). Diogenes Luis transferred to Hudson Valley (6/24/10). Bennett Davis added to roster from Hudson Valley (6/25/10). David Wendt added to roster from Hudson Valley (6/25/10). Disabled List: Dustin Biell, Tyree Hayes, Will Kline and Eli Sonoqui. The Week Ahead: 6/30/10: vs Lansing Lugnuts. 7/1/10-7/3/10: vs Fort Wayne Tin Caps. 7/4/10-7/6/10: at Fort Wayne Tin Caps.